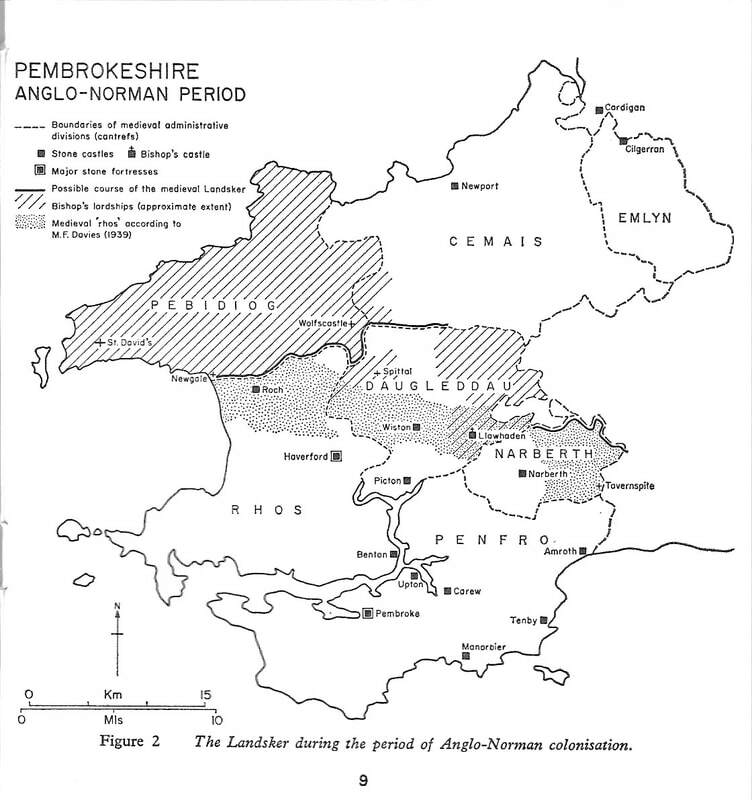 Since part of Martha Morgan Country coincides with part of the "Landsker Zone" of Pembrokeshire, it's appropriate to flag up this rather quirky feature of Pembrokeshire geography and history. 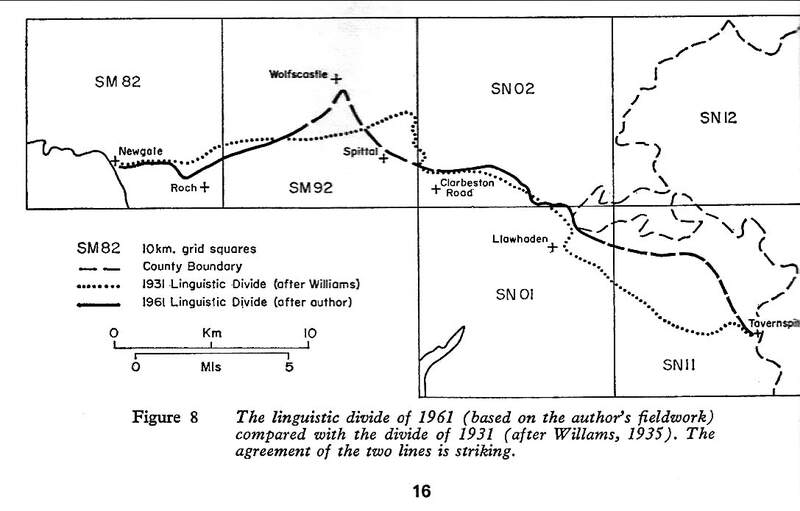 The Landsker has been there for a very long time, and its stability is quite extraordinary, given that it has never coincided with an administrative boundary -- at least, not within the past few centuries -- and has never been properly demarcated or fortified. 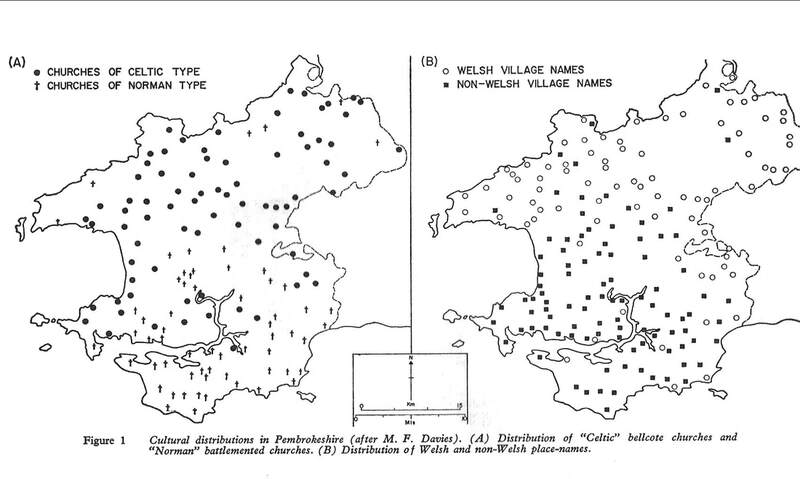 It is nowadays above all else a LINGUISTIC line -- but it also features in the mental maps of the local people, who know (more or less) where it is, and who themselves always identify either with the Welshry (to the north) or the Englishry (to the south). Then in 1971 I used the opportunity on a Durham University student field course to do some serious research, and the wotk I did with the mostly-willing students remains the most detailed piece of research ever done on the Landsker. The maps presented here arose from that research.